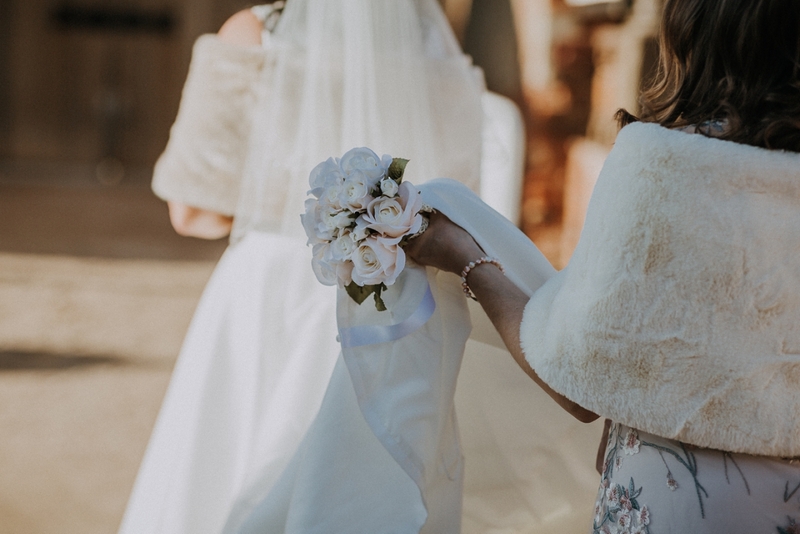 Getting married on Valentine’s Day – what could be more romantic?! 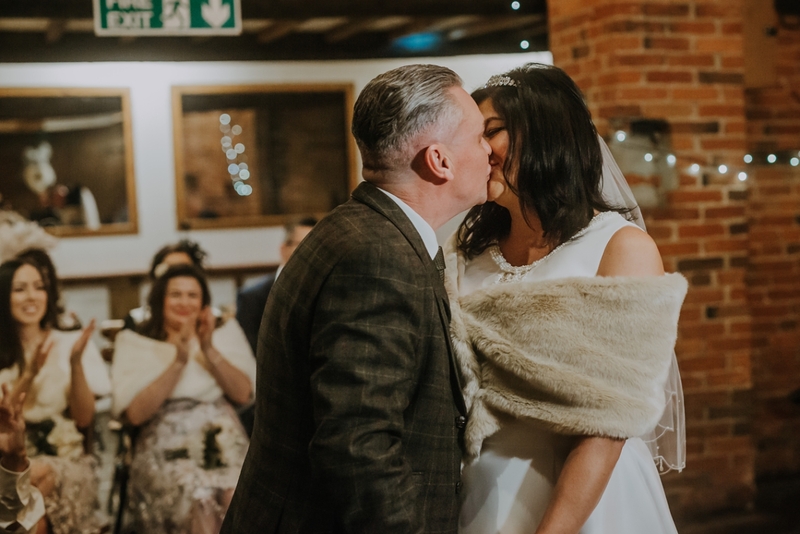 Rachael and Andrew are such an amazing couple, full of love for each other and love of life, I knew before the wedding that their day would a whole lot of fun, and it didn’t disappoint! 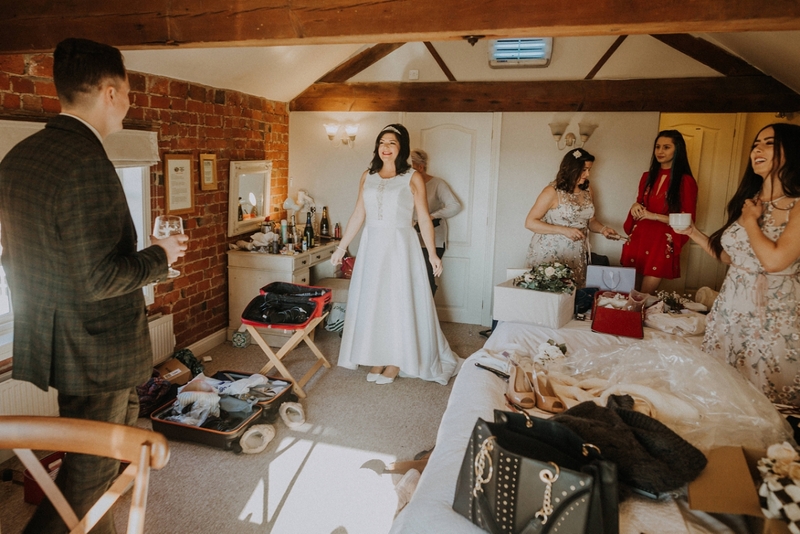 At Park Farmhouse, Rachael and her bridesmaids were busy getting ready when I arrived, and the room was just buzzing with excitement. 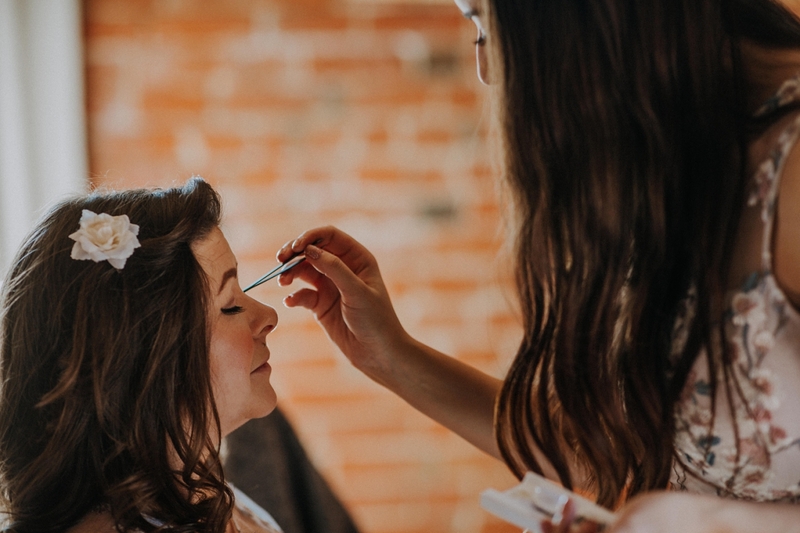 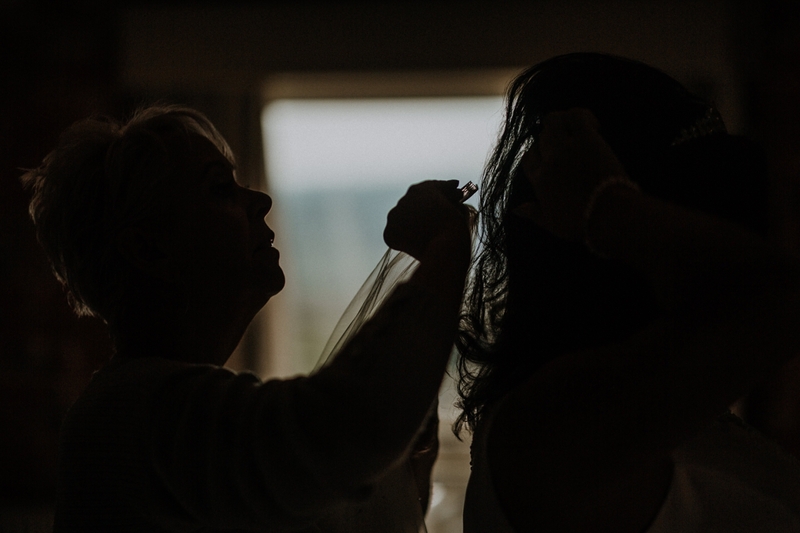 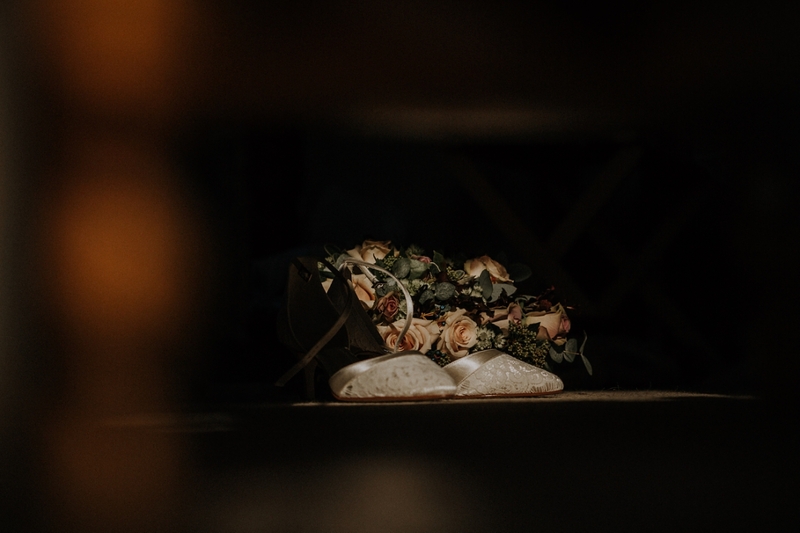 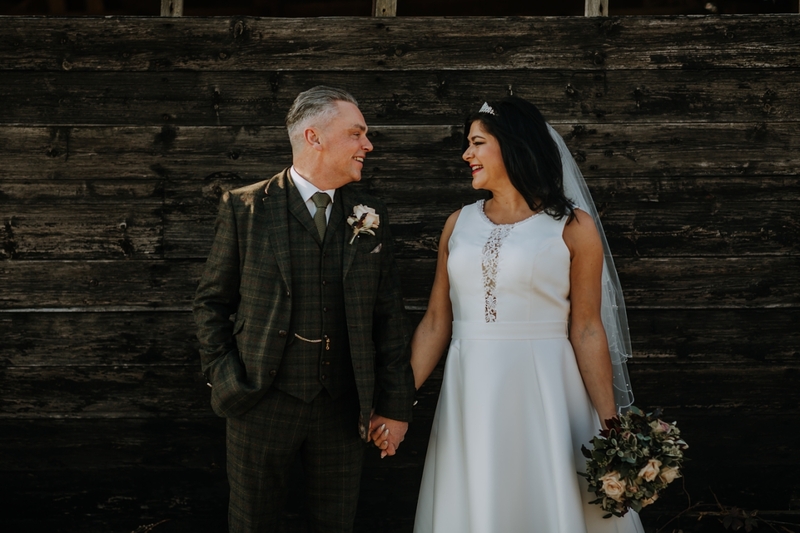 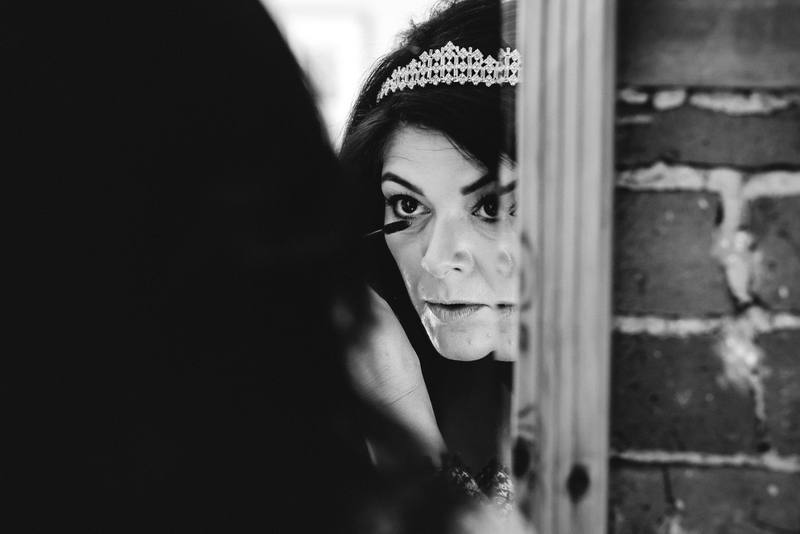 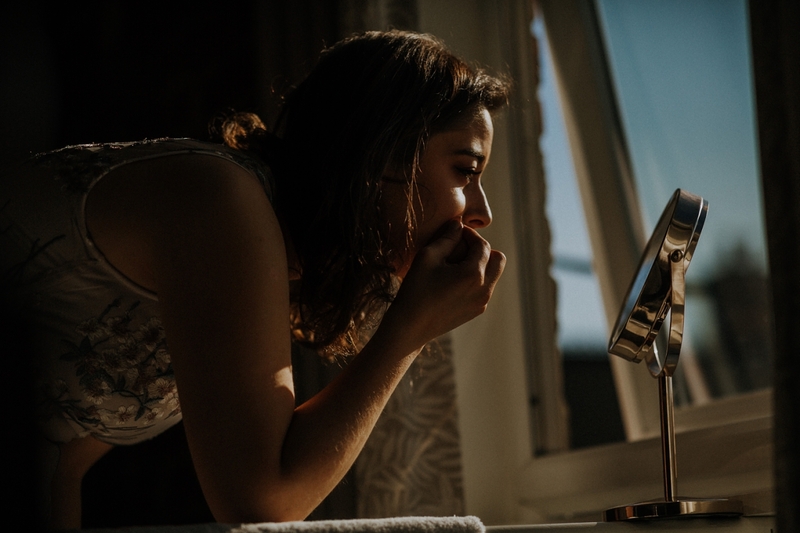 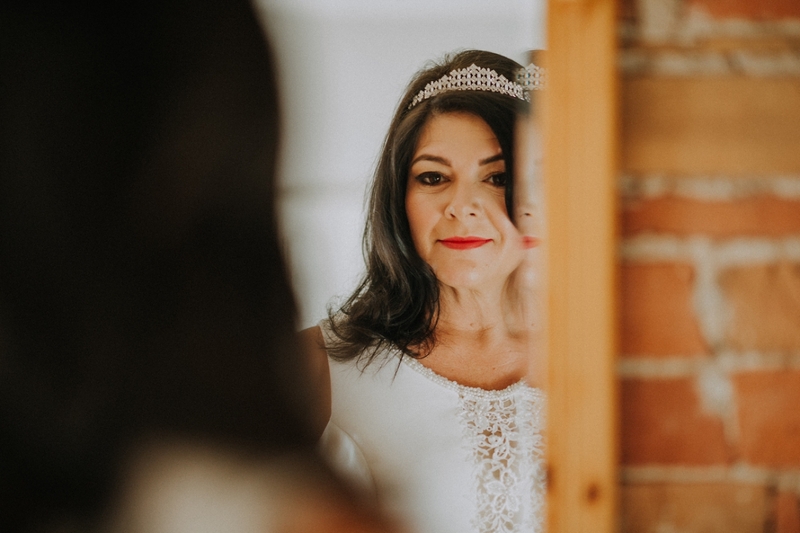 Rachael looked absolutely stunning, and with the last few finishing touches of adding her veil and one last coat of lippy she was ready to head over to the Threshing Barn where Andrew was waiting for her. 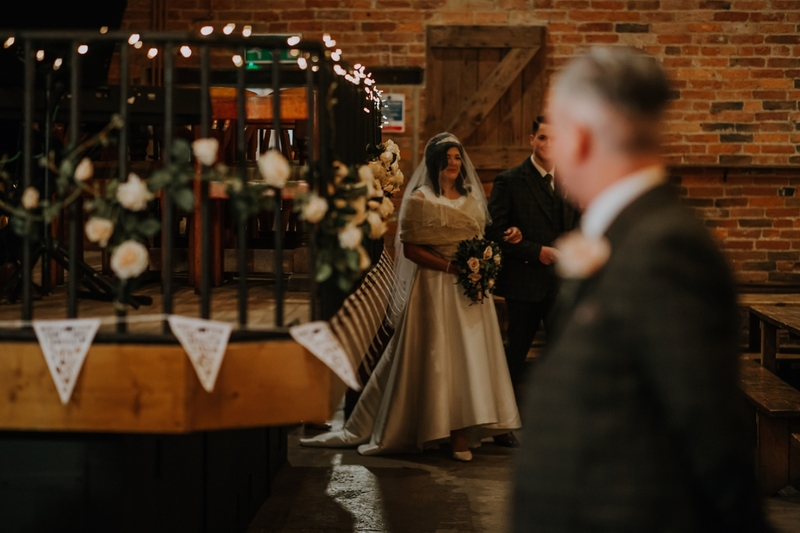 The fairy lights were twinkling, and I’m pretty sure there was a twinkle in Andrew’s eyes when he saw his bride walking down the aisle with her son. 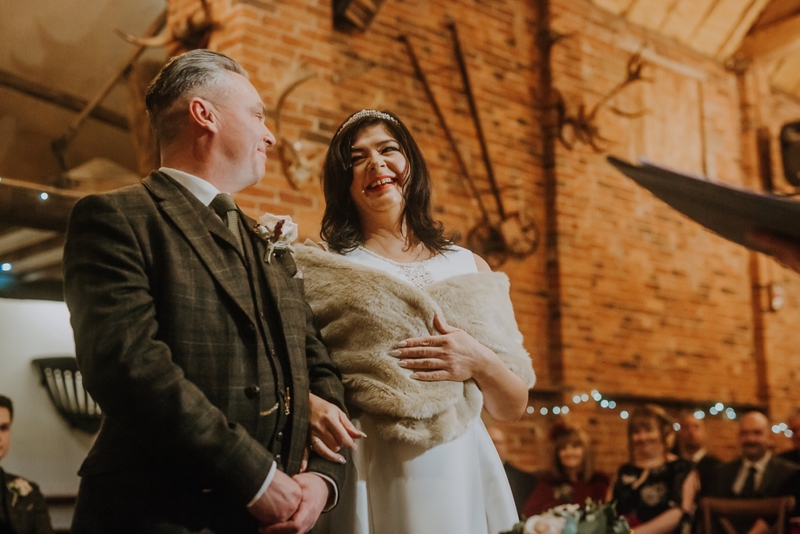 The ceremony included readings by loved ones and an equal dose of laughter and romance. 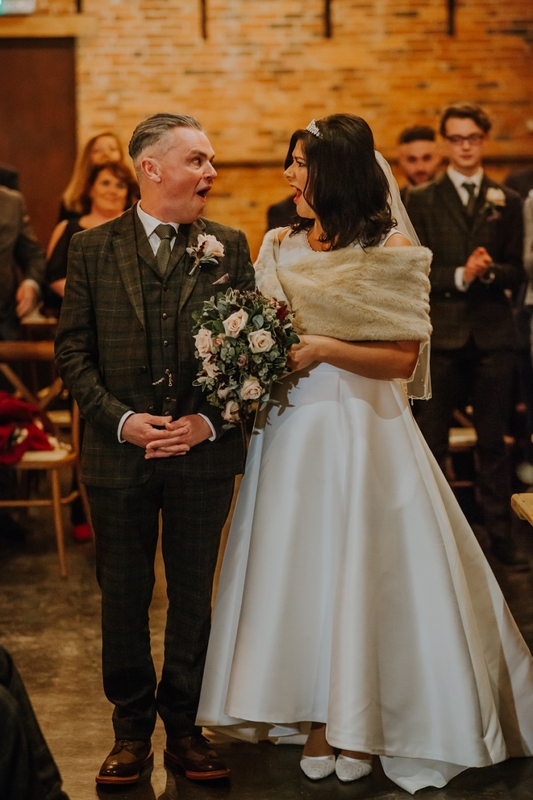 The look the newlyweds gave each other as they are about to walk down the aisle as Mr and Mrs is fantastic, one of my favourites! 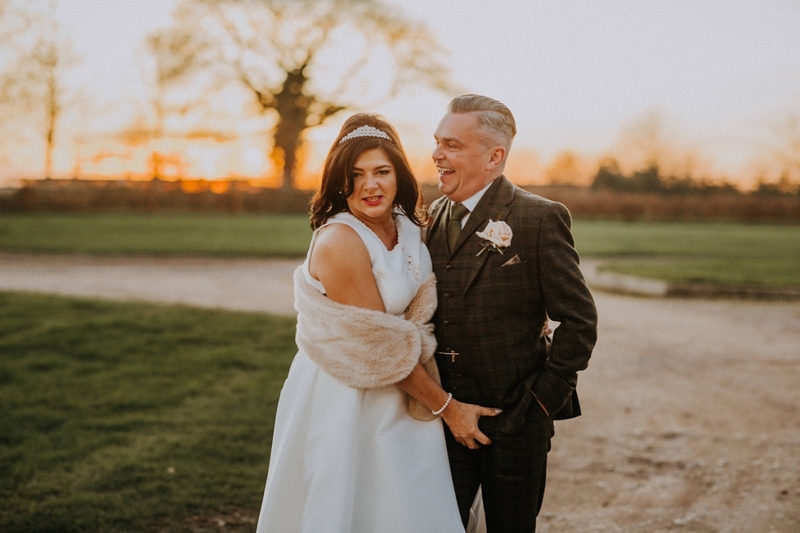 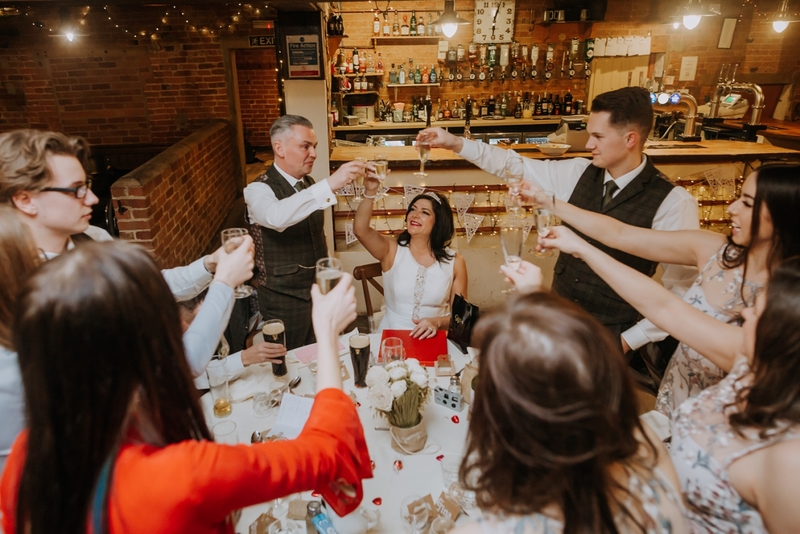 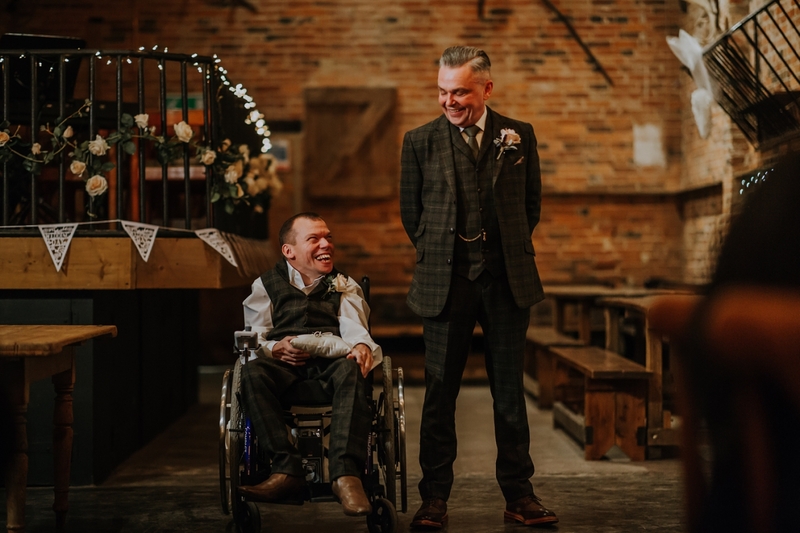 It was then time for a quick drinks reception and these two must have someone smiling down on them as it was warm enough for their guests to use the private courtyard at Park Farmhouse to relax and congratulate the happy couple. 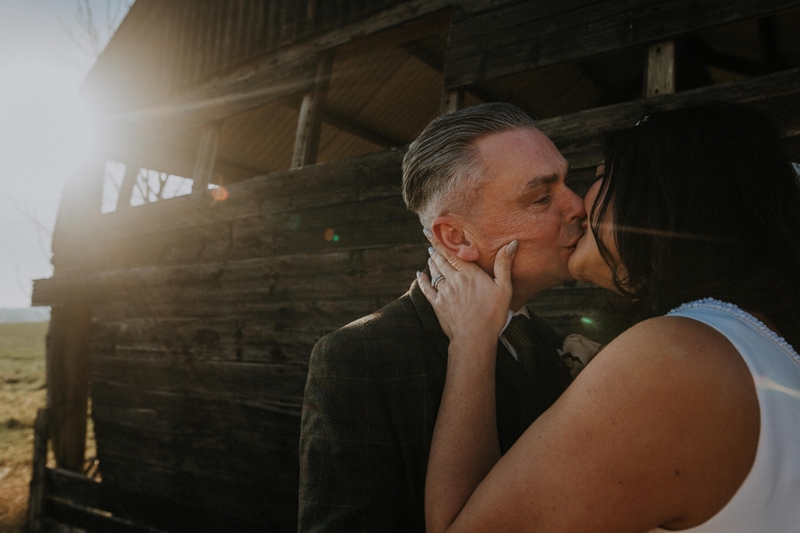 With the sun shining down on them, Rachael and Andrew took a romantic stroll around the venue and, true to their promise, they weren’t shy when it came to posing for the camera – we had so much fun during the couple portraits! 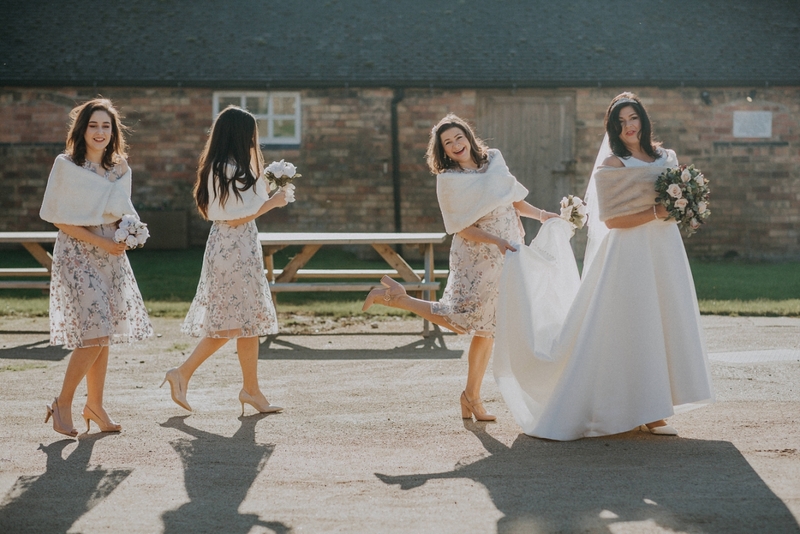 Back to the venue for some group shots and then it was food and speeches time. 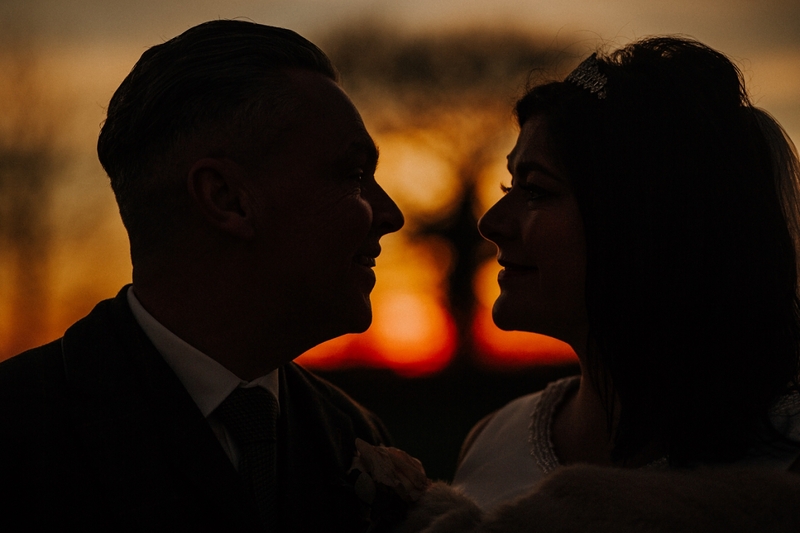 It was a very intimate and relaxed affair, and there were plenty of laughs during the speeches. 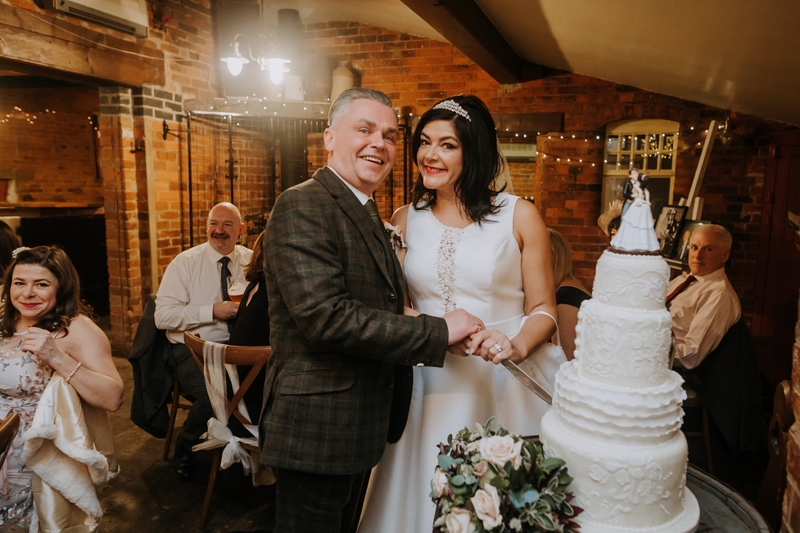 The cake was then cut and then it was time for me to leave the party – not before the bride gave me an awesome lipstick mark on my cheek to head home with!! 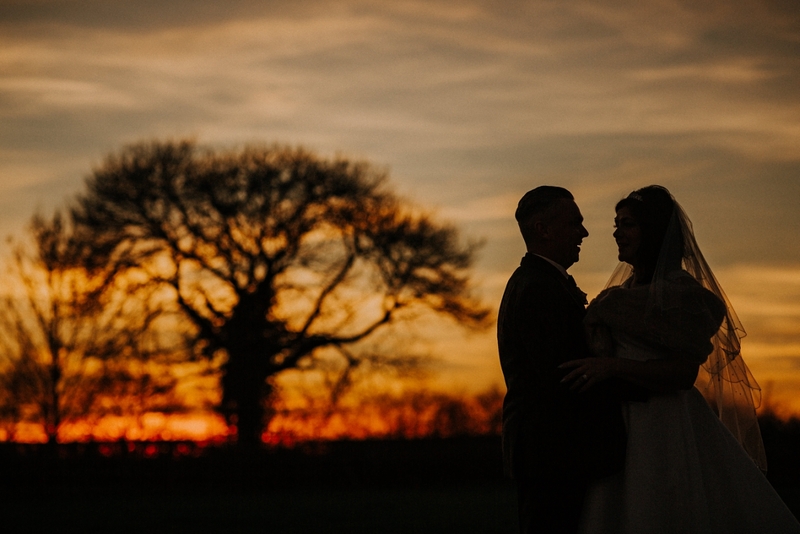 Rachael & Andrew you guys are perfect for each other, and I thoroughly enjoyed your wedding day. 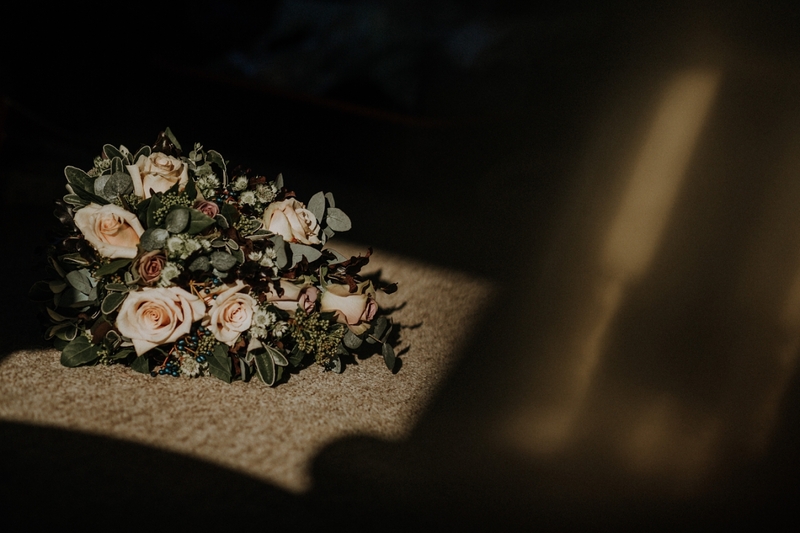 I wish you a lifetime of happiness together! 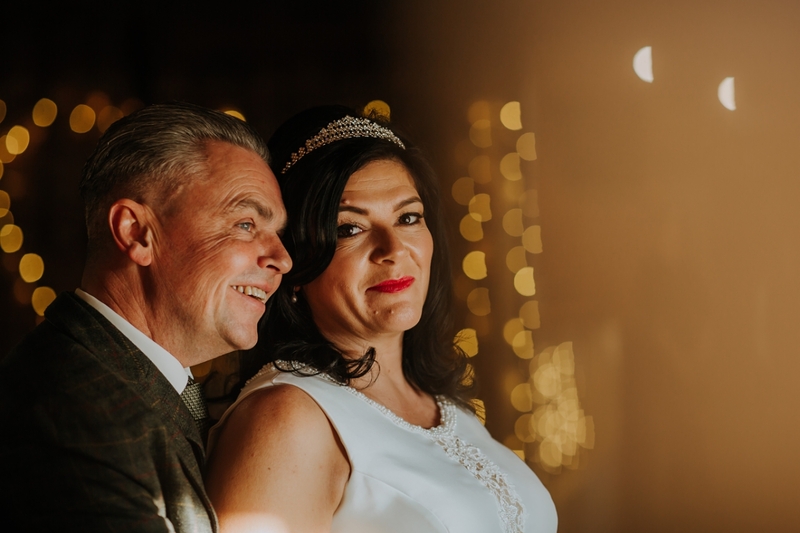 If you’re interested in booking me for your Derbyshire Wedding Photography then please don’t hesitate to get in touch here.